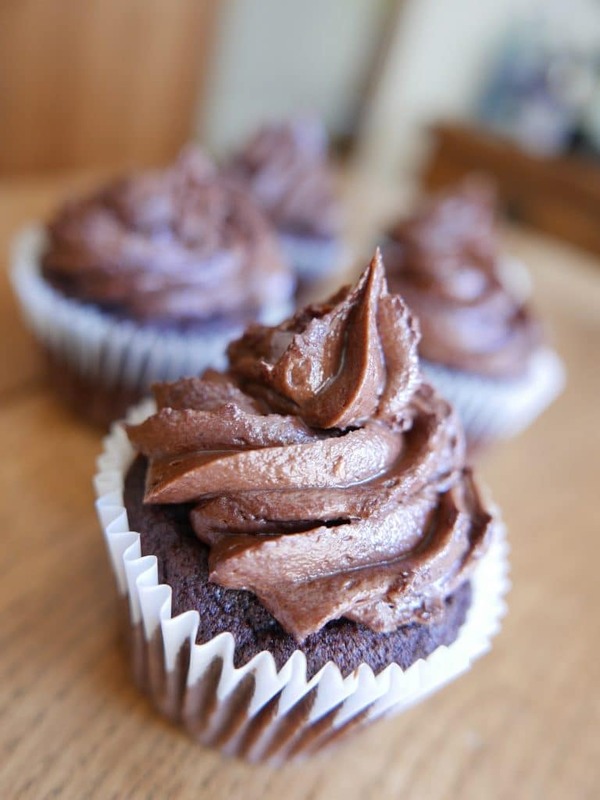 Vegan Chocolate Cupcakes? Are you sure they are Vegan? Really? But they look so ‘normal’! For various reason, we often get asked to make Eggless and/or Dairy Free cakes. 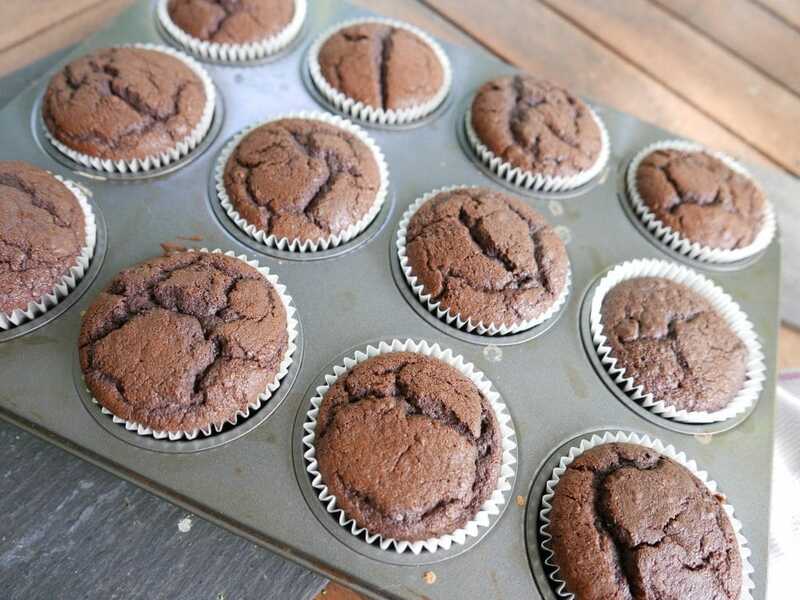 This recipe is a fail safe, easy to make, yummy scummy Vegan Chocolate Cupcakes recipe, which means Dairy Free AND Eggless! 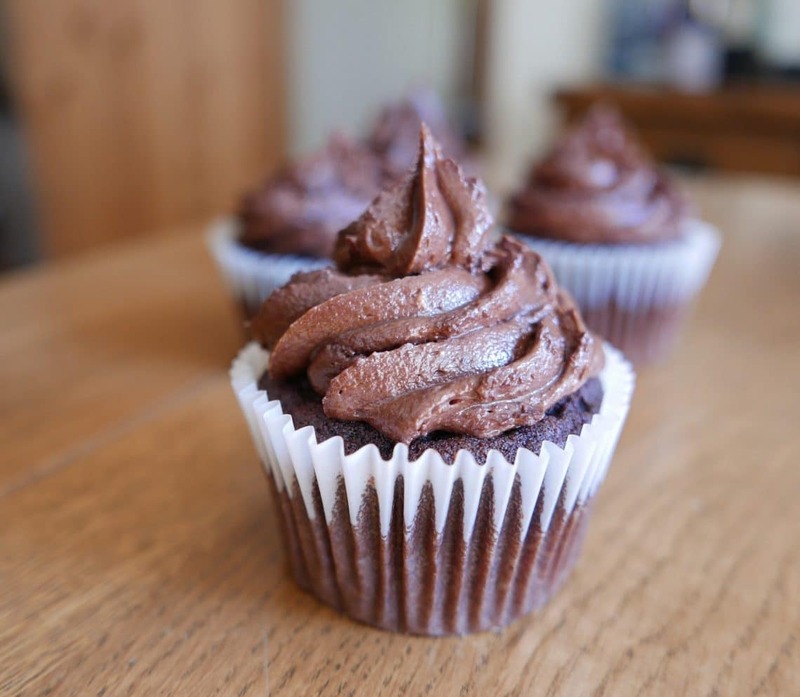 To be honest, if no-one told you these were Vegan, you’d never know it, or believe it, because these Vegan Chocolate Cupcakes are light, fluffy, moist, rich, chocolatey and easy to make – everything a Cupcake should be, with nothing missing in taste and texture. They do use a spread to add the fat content. My choice of spread is the Pure Sunflower Spread as it’s great for baking and frosting, but use which ever spread is suitable to your needs. I also used a standard Unsweetened Soya Milk in the recipe, but if for any reason you can’t have Soya, any of the nut or oat based milks will work well, and may even give them a slightly richer texture. As they have quite a high liquid contect they would also take Gluten Free Flour really well. Make sure you ‘overmix’ it to get the best texture. This recipe will make 12 and when I made these I cored the middles and added a Morello Cherry Conserve, so when you bit through the middle there was an ooey gooey cherry centre. 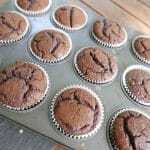 Delicious Vegan Cupcakes, full of Chocolate Flavour. Fold in the Milk until fully incorporated. In a separate bowl, sift together the Flour, Cocoa, Bicarb and Baking Powder. Add the dry ingredients to the wet and carefully fold in. Divide the mixture between the 12 cupcake cases and bake for 20 minutes, or until a skewer inserted into te centre comes out clean. Add the icing sugar and Cocoa to the butter, and mix in using a fork. At first it will look like you have far too much icing sugar, but the moisture content of the spread will soon soak it up. When you have a thick mix, go back in with your electric beater and on full power mix for a good 5 minutes until light and fluffy.